Want to control your home while you are away? Too many remotes? Imagine the convenience of controlling your home through a single device or even your mobile phone. AVP Technologies is your one-stop shop for home automation services in the Omaha metropolitan area. We work with each of our customers to provide advanced and innovative solutions that meet our customers specific needs and budget. Whether you are looking for the setup of just a couple of devices or a full home automation system, no task is to big or small. 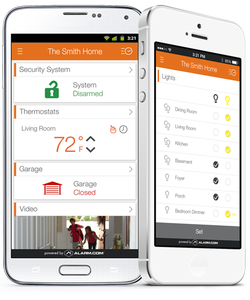 Control your home from any mobile device!